We are a Town Council consisting of sixteen Councillors responsible for the two wards of the Town (Clifton Ward and Townstal Ward), with a total population of approximately 6,000. Councillors stand for re-election every four years and are voted in by the people of Dartmouth. 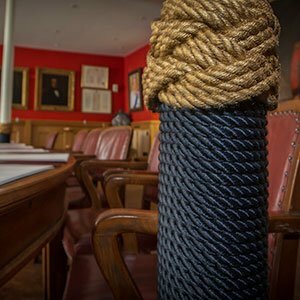 It should be noted that a Town Councillor is a voluntary position that does not receive payment for attending any of the Dartmouth Town Council meetings. The election of Town Mayor and Deputy Mayor is undertaken annually. Election for Chairmen of sub-committees is also undertaken annually at the Annual Town Council Meeting.